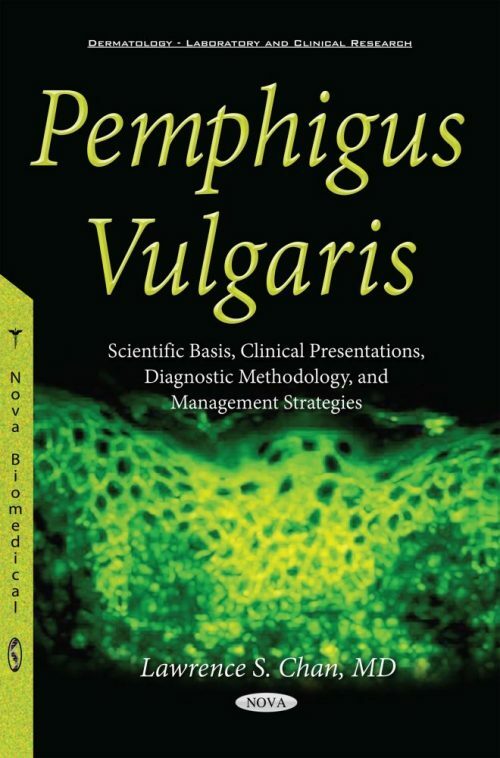 This book gathers all up-to-date information regarding the historical perspectives, clinical manifestations, pathomechanism, diagnostic methodology, and therapeutic strategies for a life-threatening, blistering skin disease called pemphigus vulgaris. The medical community has come a long way in discovering its disease mechanism down to the molecular level and found excellent treatment options for patients suffering from this horrific disease. Compared to the pre-corticosteroid era when the mortality rate was greater than 90% to present day mortality, which is extremely rare, we have indeed made great medical progress toward curing this disease. The scientific and clinical advancements notwithstanding, patients affected by this disease still face a mortality rate two to three times higher than the general population, indicating that the research of this disease has not yet been completed. While this book is focused on pemphigus vulgaris, it also includes four clinical variants of pemphigus vulgaris: drug-induced pemphigus, paraneoplastic pemphigus, pemphigus vegetans, and IgA pemphigus. Accompanied with extensive reviews of scientific literature are clinical photos illustrating the various clinical presentations of the disease, as well as histological and immunohistological patterns of this disease that would serve as outstanding references for practical usage in emergency rooms, hospitals, and outpatient clinics. This book is intended for: medical students whom require comprehensive knowledge of a well-classified organ-specific autoimmune disease; dermatology residents solidifying their ability to diagnose and treat this group of patients; practicing physicians whom need to update their skills in managing patients suffering from this disease; emergency physicians in order to properly triage their patients; scientists completing their understanding of the disease pathophysiology; and pharmaceutical industries searching for even better treatment options for these patients.